Snapchat & Spectacles: only shiny new tools? 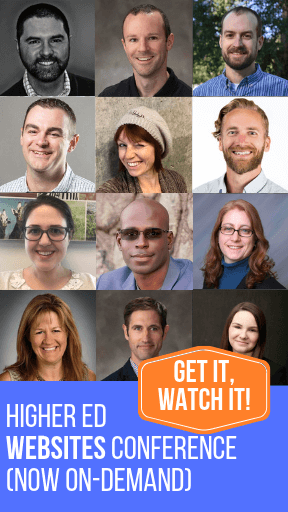 In the 8-week online course on social media marketing for higher ed I teach, I keep asking my students – all higher ed professionals – to think about ways they can use Snapchat to communicate with current college-age students. It’s not because I’m in love with the platform. I barely use it personally or professionally. My audience, busy adults working full time, isn’t just massively present there. The barrier of entry on Snapchat is just too high to make it a priority. Now, if close to 70% of MY audience were using Snapchat daily to communicate and stay in touch with their network, that would be a different story. Well, according to the 2017 E-Expectations Study conducted by RNL and to be released at the end of this month (stay tuned for an exclusive series of posts coming soon on the Higher Ed Experts blog), 67% of college-bound high school seniors, 69% of juniors and 74% of sophomores use Snapchat daily. I’ve seen this number increase for the past couple of years. So, I’ll keep asking any higher ed professionals (enrolled in my class or not) who are targeting prospective or current college students, if they have already added Snapchat to their toolbox. Digital marketing is never about the new shiny tools, but ignoring where your audience is can be costly down the line. This explains my professional interest in Snapchat and it’s the reason why I’m always welcoming any higher ed social media success stories on this platform (I would also love to hear about stories with other platforms if they are reaching your audiences :-)). So, when Lyndsi Lewis, Senior Social Media Strategist at Duke, emailed me to pitch a story about Snapchat Spectacles after reading Dominique Benjamin’s post about Snapchat Custom Stories, she got my attention right away. I had come across Duke’s Snapchat Commencement Takeover while researching my University Business column about Spectacles and was curious to find out what the team learned with this project. 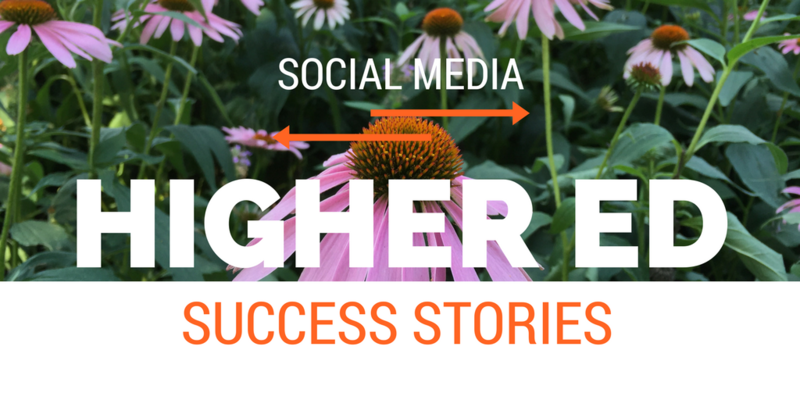 Lyndsi’s post is the 3rd in my series focusing on higher ed social media success stories written by professionals working in schools (Got one? Email me at karine@higheredexperts.com). One of the biggest perks of working in higher ed social media is interacting with and drawing on the creativity of our students. My colleagues and I often tell our coworkers that our students are more brilliant than we are. Their ideas, opinions and suggestions makeup a significant portion of our social strategy and content at Duke. 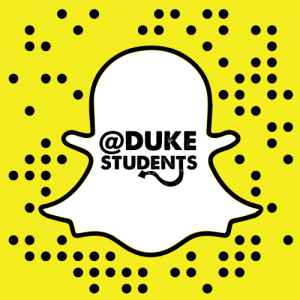 So, when Snapchat made its Spectacles available to the masses early this spring, we immediately asked our student teams to come up with creative ways to use them on our DukeStudents Snapchat channel. By the time we ordered, received and demoed this new toy, commencement was just around the corner. It was the perfect time for a big reveal of the Specs through a student takeover during the ceremony. One of our amazing graduating seniors, Thamina Stoll, agreed to take us behind-the-scenes at the ceremony from her point of view. We had no doubt that she would rise to the occasion and completely crush the takeover. And, she did not disappoint. The resulting Snapchat takeover powered by Spectacles was quite funny, informal (as only students can be) and brought all the feels. So, what does it take to get ready for a live takeover with Spectacles? Preparation and practice. First, you’ll need to set up the Specs and demo with your student. Before getting started, make sure you’ve synced the Spectacles with the smartphone you will use to post the snaps shot with the glasses. Spectacles arrive neatly packaged with instructions. Check them out! The Specs communicate with the Snapchat app via Bluetooth. In the 3-step process, you can film hands-free and the resulting videos are then downloaded into Snapchat on the paired device. Once your snaps have been downloaded into the Memories section on Snapchat, you can then manually post the content to your story. Our student logged into the DukeStudents Snapchat account on her phone, synced the Specs to and then recorded and posted in real time during the ceremony. While the takeover was a big success, it wasn’t without challenges. We had some issues with wifi connectivity in the graduation venue. This made it more difficult for the student to post in real time as there were some delays and technical difficulties. So, I’d recommend doing a test on location if you can prior to your event. There is also a learning curve with the functionality of the Spectacles. It’s definitely a good idea to do a session before your event to go over how to properly use them. If you can and want to use them for real-time sharing, practice everything: filming, downloading and posting videos shot from the Specs. Snap’s Spectacles were well worth the investment, time and effort we put in to this new device. If you’re looking for creative ways to shake up your Snapchat presence, you should consider purchasing a pair for your school. They’ll help. At Duke University, we’re already brainstorming future opportunities to showcase student life through our students’ eyes. 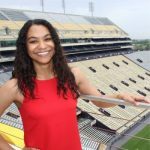 Lyndsi Lewis is the Senior Social Media Strategist for the Office of News & Communication at Duke University. She directly manages Duke University’s social communities and works closely with students to help guide and manage the DukeStudents social presence and strategy.